Xiaomi fans will be pleased to know that their favorite company has a few more surprises for them, which will be revealed by the end of the year. 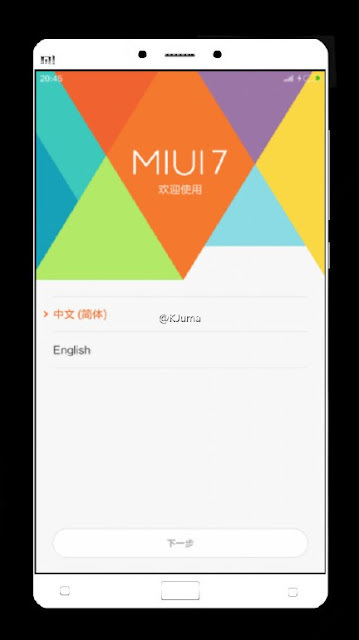 First of all, the Xiaomi Mi 4c that we saw being leaked not long ago is expected to be launched on September 22. But that won't be the only smartphone released by the Chinese company this year. The Mi5 is expected to arrive this year as well, while the sequel to the company's Mi Note phablet is likely to make its debut once Qualcomm launches its Snapdragon 820 chipset. That being said, it looks like the first renders of the Xiaomi Mi Note 2 have just leaked online, though the Chinese company is still mum on the release date of the smartphone. Still, at least we get to see what the phone looks like and what to expect from it. The first thing we’ve noticed are the dual cameras in the front, which are unusual especially for a high-end smartphone. 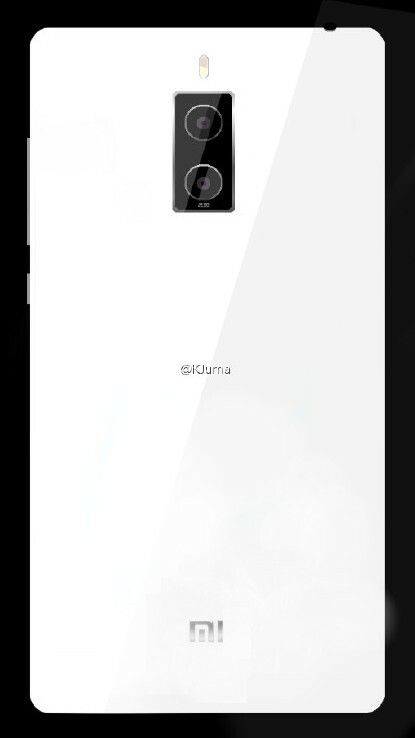 What's not unusual is the fingerprint scanner, which should be positioned right under the physical Home button. This isn't surprising at all since it has become standard for high-end handsets to come with fingerprint scanners. According to previous rumors, Xiaomi Mi Note 2 will boast a large 5.7-inch capacitive touchscreen display that supports Quad HD (2560 x 1440 pixels) resolution and Corning Gorilla Glass coating. On the back, the Mi Note 2 is said to pack a 23-megapixel photo snapper with autofocus, dual LED flash, and 4K video recording, while on the front there should be a no less impressive 12-megapixel camera for great selfies and video calls. The phablet is likely to be available in multiple versions based on the amount of storage: 32GB or 64GB. Also, the Mi Note 2 is said to be equipped with Qualcomm's Snapdragon 820 processor, an Adreno 530 graphics processing unit, and 4GB of RAM. Last but not least, Xiaomi Mi Note 2 might come preloaded with either Android 5.1.1 Lollipop or Android 6.0 Marshmallow on board, depending on when the phablet will make its debut on the market.